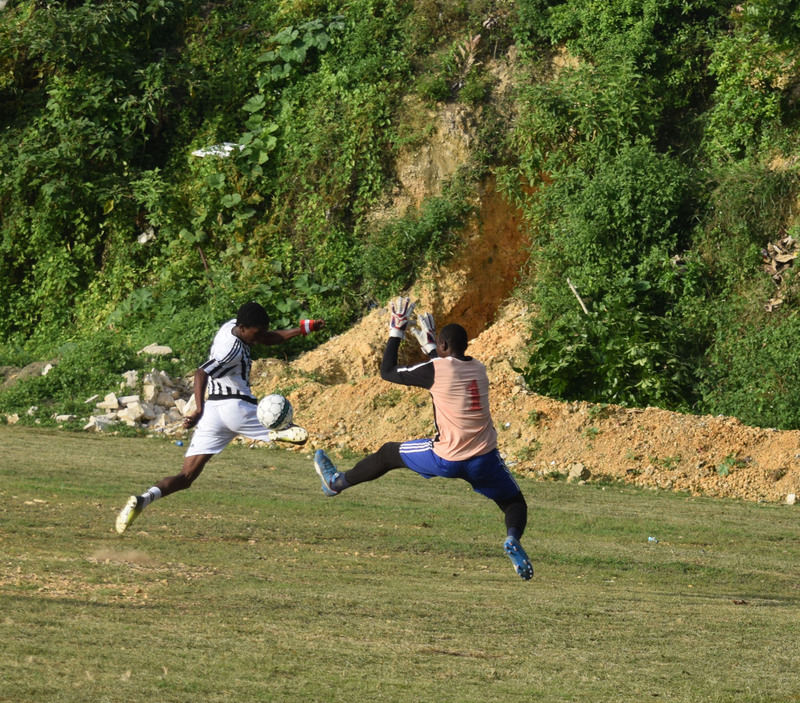 Former many-times champions Mandingo, was in bullish mode on Monday, recording the widest margin of victory and taking the early lead in their zone of the Mount Salem Summer Corner League Football Competition played at the Sand Field in the community. Crawford Street and Production also bagged early wins, while the defending champions, Tenament, got off to a losing start. Playing before another packed house, Mandingo produced a sensational first half display to power past Revelation, 4-2, in an enthralling Group One match up. Turning on the styles with their flicks and deft dribbles, Mandingo dominated their opposition in first half action, racing into a 4-0 lead at the close of the first half. Howard Muir, Anthony Gooden, Curtis Cameron and Joel Powell were on the scoresheet for the ex-champions, while Conrad Stoddart and Odain White replied for Revelation in the second half as they turned in a better attacking display. Meanwhile, the competition opened on Sunday with a dress parade and two matches. Crawford Street and Production (Brunswick Lane) also opened the campaign with maximum three points after efficient displays against their opponents. Crawford Street stopped Piggot Street 1-0, while Production, through a penalty strike, secured the vital three points against a wasteful defending champions, Tenament. Production created the odd chances during the early stages of the lively contest, but were squarely on the back foot throughout as Tenament bombarded their goal, missing chance after chance. Christopher Stone ‘Jackie Chang’, the Tenament skipper, was the guilty culprit as he could have had six goals before the halftime break, missing sitters, even one-on-ones with the keeper. Twelve teams split into two groups of six are down to participate in the competition. Piggot Street, Crawford Street, Mandingo, Revelation, Black Street United and New Level are the teams in Group One while Tenament, Production, MoBay Deaf, Clark Street, Tafari and Gully Side make up Group Two.